One of the best goose calls available. Each call is hand-made from the finest woods. The cost is just $100 plus $10 shipping. I will ship across North America from my workshop in Port Dover, Ontario, Canada. Doug Schuyler of Port Dover, Ontario has been chasing geese for over 25 years. In all that time, he has used many different goose calls but never found one that pleased him. Being a hunter he knew what a goose call should sound like. The calls he used just “didn’t sound like a goose to me,” he says. 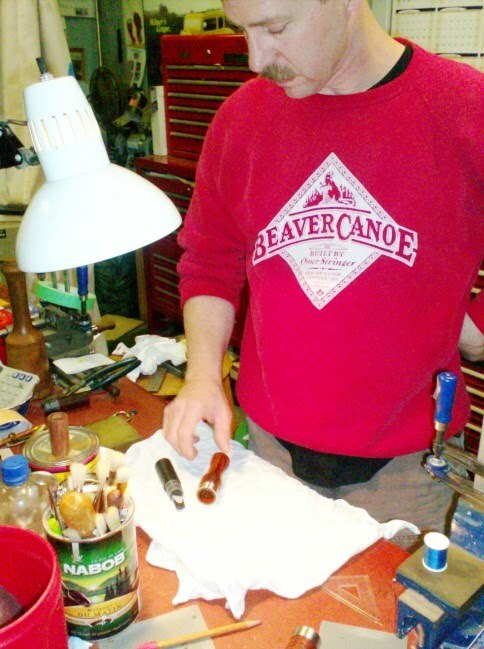 So, in 2003, Doug took up a challenge and began designing and then building his own goose calls. Schuyler always worked on the belief “it had to sound good before we could make it beautiful.” Now, with the sound perfected, he went to work on making a beautiful call. 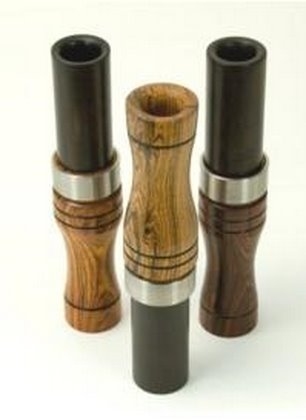 “Goose calls sound best with a very hard wood for an exhaust,” Schuyler says adding “the keg is less important but still of value.” Schuyler’s goose calls use native hardwoods such as Curly Maple and Walnut and exotic hardwoods such as Cocobolo and Bocote from Mexico, African Blackwood from Africa, Masur Birch from Finland and what is popular with some of his lady hunting customers Pink Ivory – one of the rarest of hardwoods. 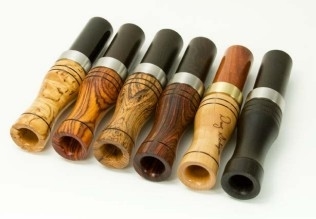 You can own one of these handmade goose calls. Inside it there is a mylar reed held between a plastic sound board and a wedge. 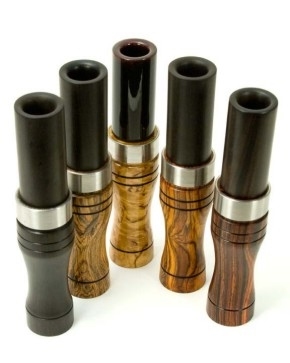 Each call is shaped by Schuyler to his exacting specifications, has two heavy O-rings and comes with a stainless or brass ring on the call. Schuyler’s calls are all made by hand from turning the barrels to doing the finishing work. Having discovered the secret to a quality goose sound and using woods that make for a beautiful looking call, Schuyler is now discovering his calls are in demand. As well as local hunters who beat a path to his workshop, the call has been used by some of North America’s most respected hunters. “I’m only making about 200 calls a year,” says Schuyler adding “but when you get one, it’s good.” They sell for $100 plus $10 shipping. Quality is guaranteed and new reeds are installed for the price of the shipping. “Every call is tested for its sound and has the same quality that I’d use if I was making it for myself,” Schuyler says. 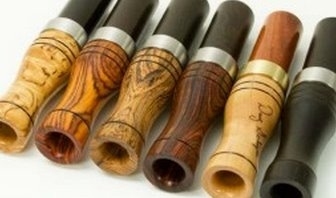 Each hand-made goose call sells for $100. Shipping across North America by post is $10. I'd be more than happy to discuss my goose calls with you.